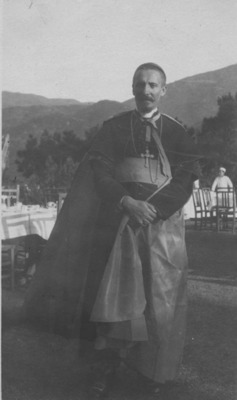 Archbishop Celso Constantini was the Apostolic Delegate to China. Kaying (now Meixien), China. B/W Photo.